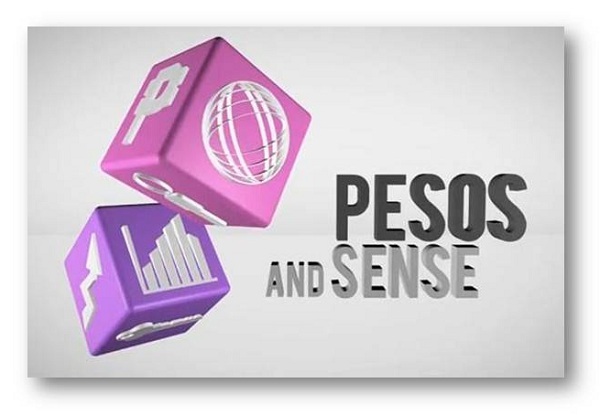 If you don't know PESOS AND SENSE, it is an educational company that covers a wide range of personal finance and investment topics that typically intimidates the average Filipino: the stock market, mutual funds, insurance, budgeting and debt management etc. Their goal is to empower Filipinos by teaching simple and practical knowledge in making independent and wise choices in handling their money. 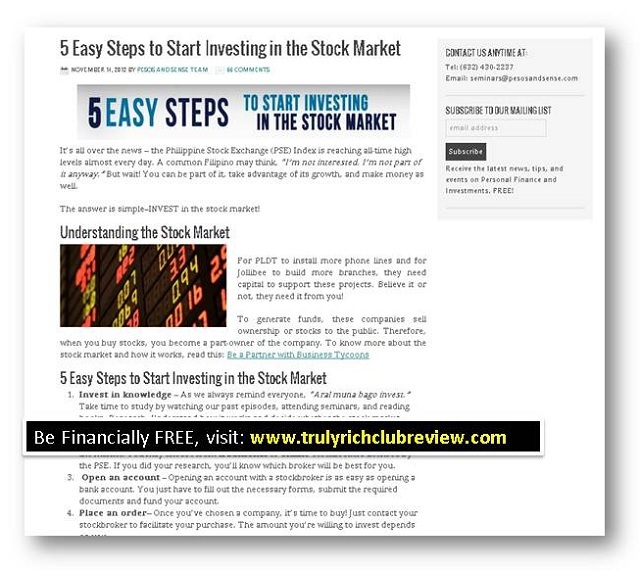 I hopped into their website and saw this topic: 5 Easy Steps to Start Investing in the Stock Market. Please read below. You will also learn from this. 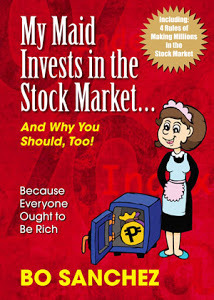 "It’s all over the news – the Philippine Stock Exchange (PSE) Index is reaching all-time high levels almost every day. A common Filipino may think, “I’m not interested. I’m not part of it anyway.” But wait! You can be part of it, take advantage of its growth, and make money as well. The answer is simple–INVEST in the stock market! To generate funds, these companies sell ownership or stocks to the public. Therefore, when you buy stocks, you become a part-owner of the company. Monitor your investments – Keep yourself informed about the stocks you bought. It’s wise to research online or read the business section of the newspaper to see if the company is doing well or not."